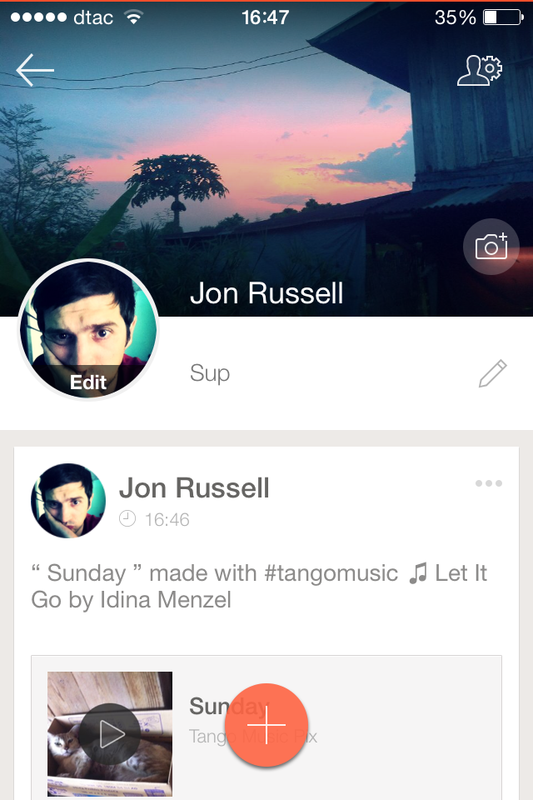 Fresh from increasing its focus on games with a dedicated fund for developers, mobile messaging company Tango is pushing itself as a place to share photos after it launched a standalone ‘music remix’ app for its US users. Update: It seems the app is not quite really for a full rollout as Tango has removed it from the App Store. We’ve contacted the company for more details. Tango Music Pix essentially lets users create a slideshow of images which can be set to music. The tunes come from Spotify — which already has a sharing partnership with Tango — and the end result is something not unlike Snapchat’s ‘Stories’ feature, which lets users cobble together images from a day in their life and has become more popular than the service’s disappearing photos. The app — which is only available in the US App Store and is iOS-only for now — was first spotted by Musically. Initially it asks you to select as many as 10 images from your camera roll, after which you pick a 30-second music clip for the background. You can chose to create a slideshow without music, but Tango is placing a heavy focus on the music side of things with its description of the app. Once you have content and music, your creation is ready to be shared. You can share to your Tango profile page or directly into a chat conversation, while there is also the option to post to Facebook or Twitter. Alternatively you can go all web 1.0 and share via email or just copy the link for pasting elsewhere. Tango has taken a lot of cues from Asian messaging apps like Line and Kakao Talk in the past, and both of these services do have standalone music apps in their own home countries. That said, this app definitely feels more like Snapchat given that the focus is on curating and sharing photos, albeit not those that disappear. While I’ll freely admit that this isn’t a service I will use, I can imagine that it might be popular with younger people as a way to share their photos from a weekend at a music festival, a holiday or other significant events. Tango says it has 25 million daily users (from 200 million registered users) with the US its biggest market, though it doesn’t say exactly how many users that it has there. The company is definitely ramping up its focus on content, so it will be interesting to see what comes next. There’s no immediate word on whether or when the app might make an appearance outside of the US, nor do we know if there will be an Android version. We’ve emailed Tango for more details and will update with any response provided.